King County representatives along with representatives of more than a dozen local service organizations will be invited to the Fall City Library on Saturday, March 10, 2018 from 11am to 2pm for a free community information event. The purpose of the event is to expose residents of Fall City to the wide variety of organizations and services available within the Snoqualmie Valley and for persons with similar interests to meet each other. Light snacks will be provided and fun and games are encouraged at every community booth. People of all ages are welcome to attend and you do not have to be a resident of Fall City to attend. 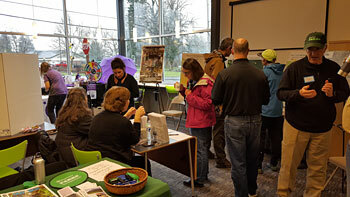 This event is sponsored by the Fall City Community Association and hosted by the Fall City Library, part of the King County Library System. The event was inspired by a recommendation by Leadership Eastside, a non-profit organization whose mission is to equip, inform and connect local residents so they can become more engaged community leaders. 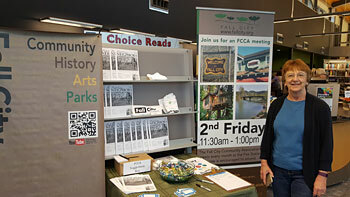 "This is a casual event designed to help people learn about local services and special interest organizations, many of which are free or low cost," said Ashley Glennon, president of the FCCA, "and to meet your neighbors who share similar interests." Check out our photos from our 2017 event.